Can You Tell Me How To Get To Dylan’s Street? 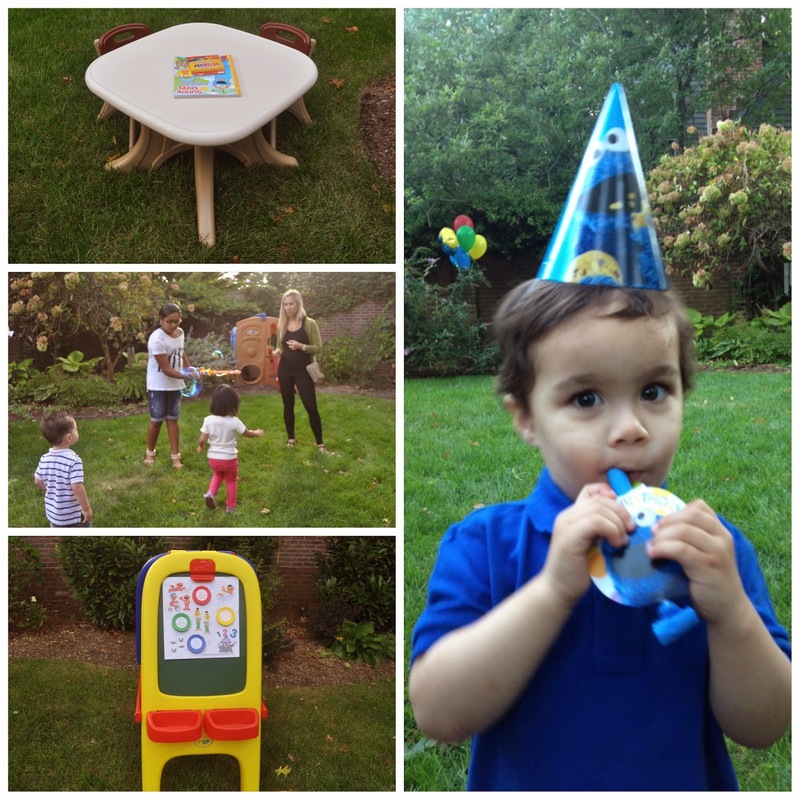 Our nephew, Dylan, was obsessed with Sesame Street and for his second birthday, we transformed his backyard into “Dylan’s Street.” We brought his favorite Sesame characters to life through the decor, menu, beverages, games and favors. We created a “Welcome to Dylan’s Street” sign using a styrofoam ball we found at Michaels, a long cylinder and a green table cloth. 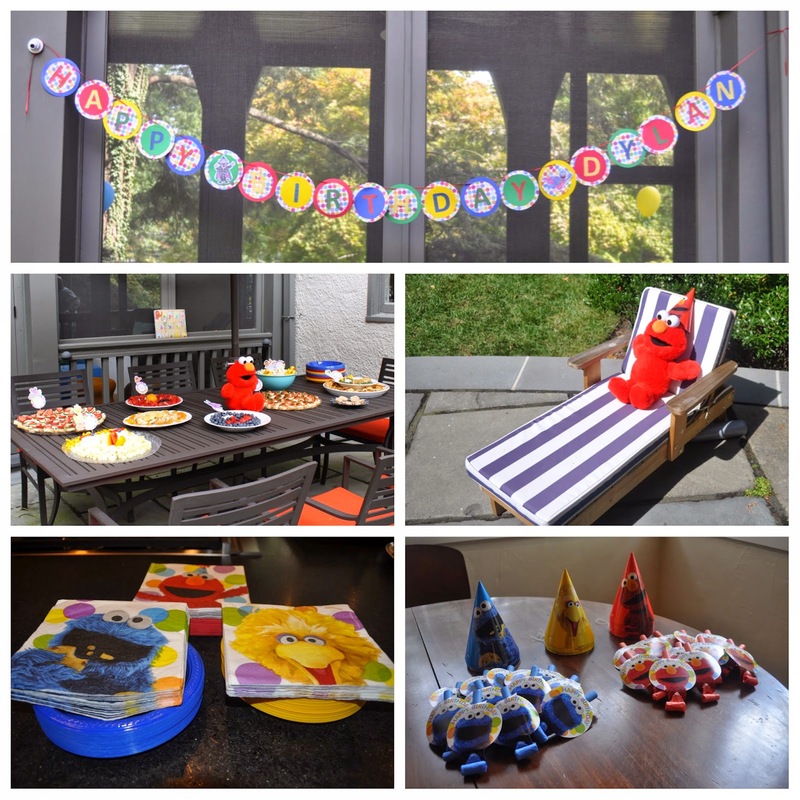 We incorporated the colors of red, blue, yellow and green to represent Elmo, Cookie Monster, Big Bird and Oscar. We also found adorable Sesame Street hats, party blowers and napkins at Party City. 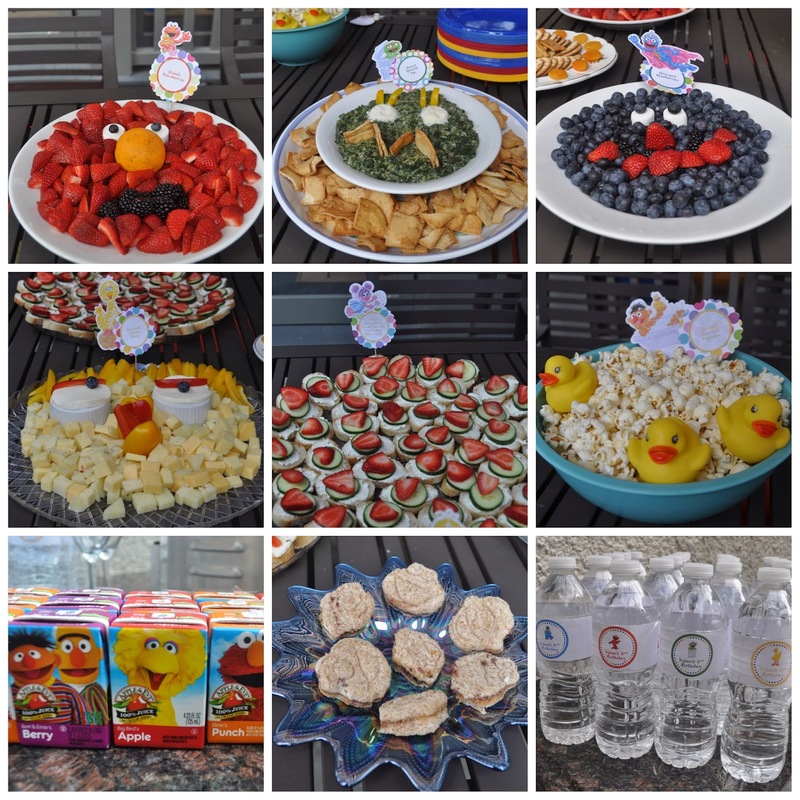 We created a whimsical menu and transformed delicious treats into Dylan’s favorite Sesame Street characters: Elmo (made from strawberries), Grover (blueberries), Oscar (spinach dip and pita chips) and Big Bird (assorted yellow cheeses and peppers). Ernie’s sea salt popcorn, Abby’s goat cheese, strawberry and cucumber bruschetta and Telly’s TBM bruschetta rounded out the apps. 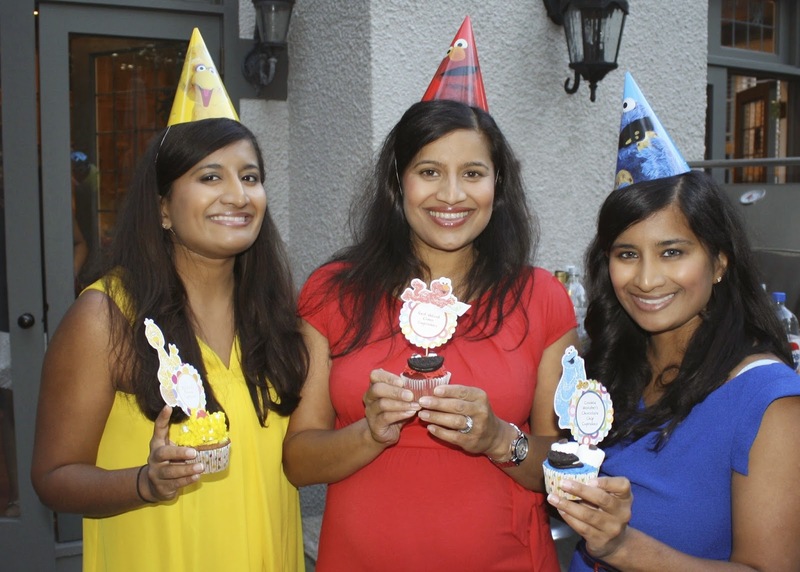 We used Sesame Street cardstock to create adorable food labels and the birthday banner. For the main course, guests dined on burgers and hot dogs. We also served mini PB&J sandwiches shaped like Elmo, Cookie Monster, Oscar and Ernie for the kids. We found adorable juice boxes featuring Elmo, Big Bird and Burt and Ernie. We personalized the water bottles with Cookie Monster, Elmo, Oscar and Big Bird. For the adults, we also served red and white wine and beer. We kept the games simple for the toddlers. The kids enjoyed Bubbles with Big Bird, Tickling Elmo, Counting the Sesame Street characters and Coloring. The kids (and adults) loved the dessert table. 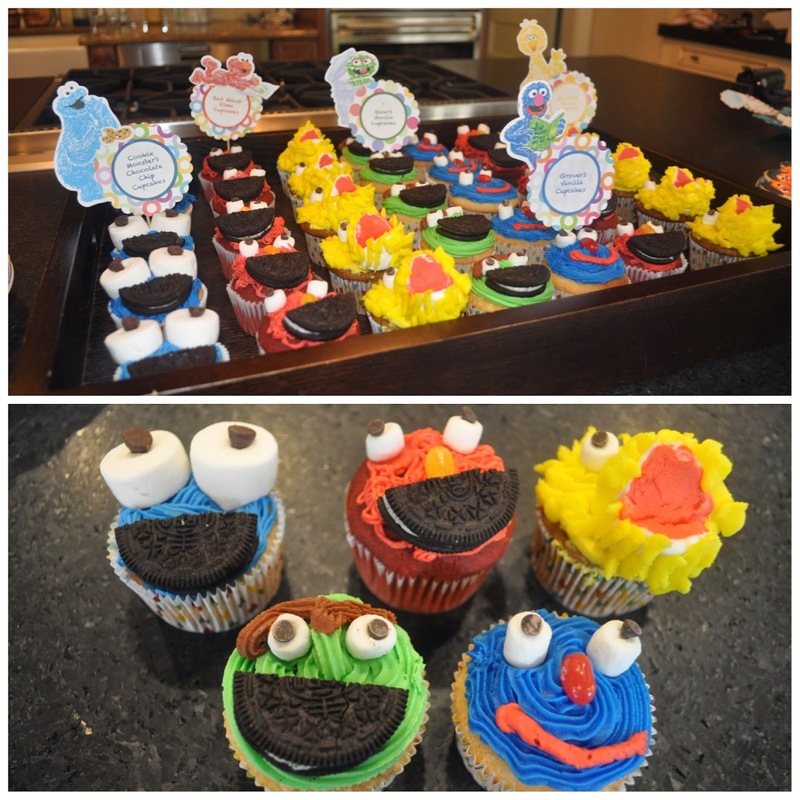 We created 3-D cupcakes in a variety of characters and flavors: Elmo’s Red Velvet Cupcake, Cookie Monster’s Vanilla Chip Cupcake, Big Bird’s Banana Cupcake, Oscar’s Mint Cupcake and Grover’s Vanilla Cupcake. The 2 year olds were so excited to pick out their cupcake. Our favorite was definitely Big Bird — we had so much fun creating the marshmallow beaks! 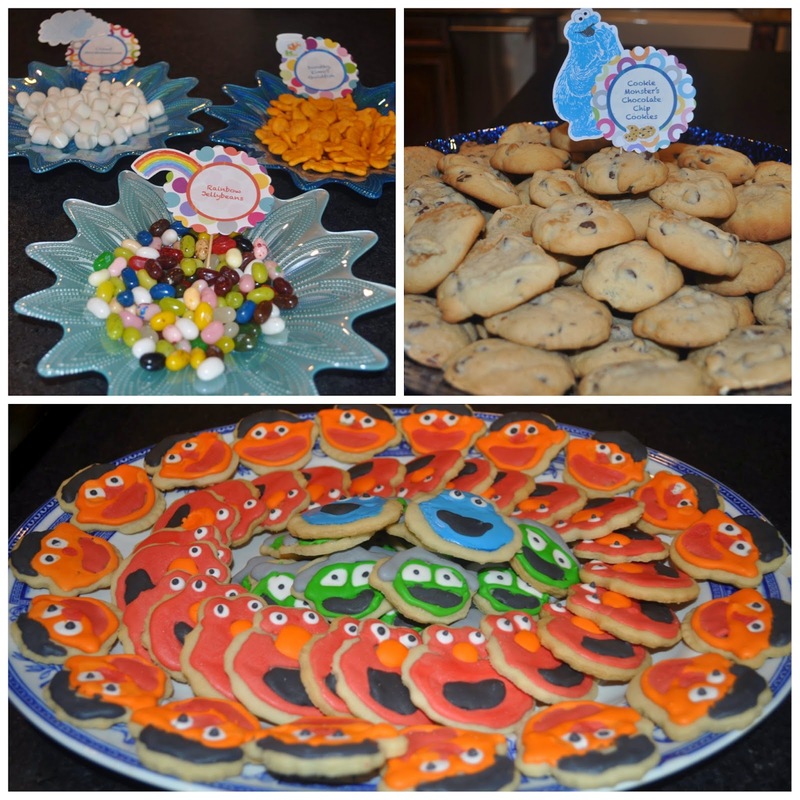 We also served sugar cookies (shaped like Elmo, Cookie Monster, Oscar and Ernie), jellybeans, Elmo’s goldfish, mini-marshmallows and, last but not least, Cookie Monster’s sea salt chocolate chip cookies. The goodie bags were also a big hit with the kiddos. 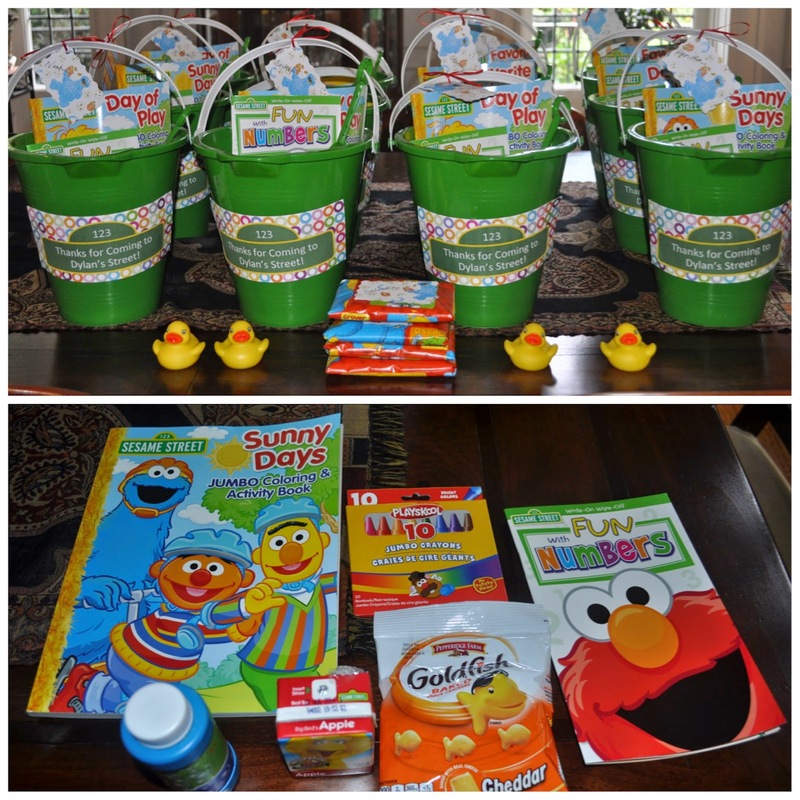 We found green beach pails from Michaels and filled them with Sesame Street coloring books, crayons, Elmo educational books, bubbles, Elmo’s Goldfish and Sesame Street juice boxes. We had so much fun putting together the favors that we had to stop ourselves from buying too many items! We had so much fun on Dylan’s Street! 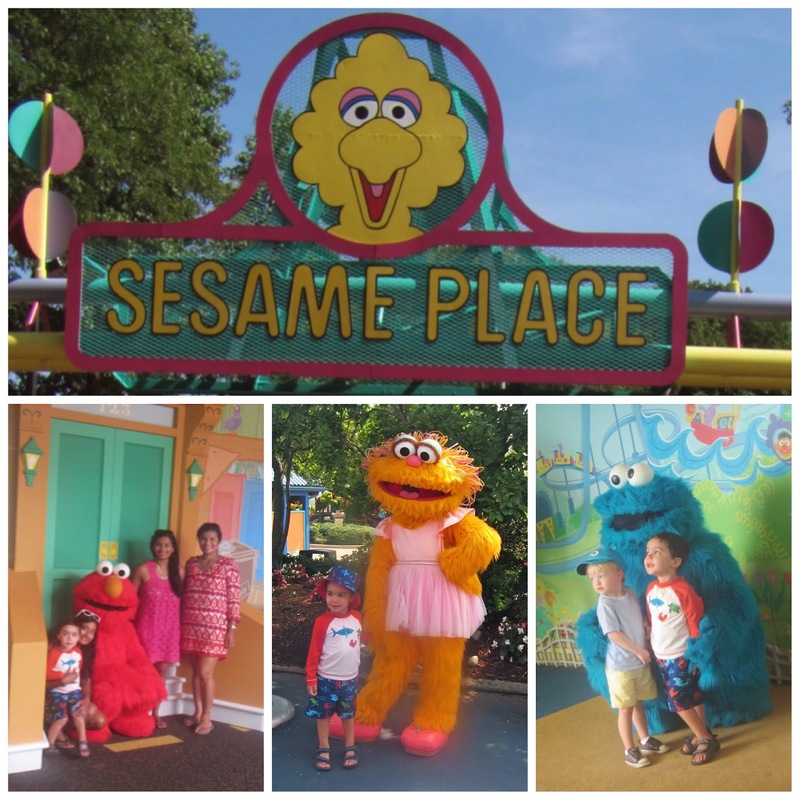 We even took Dylan to Sesame Place the following summer. We all had a blast on the rides. We even met Elmo, Zoe and Cookie Monster!